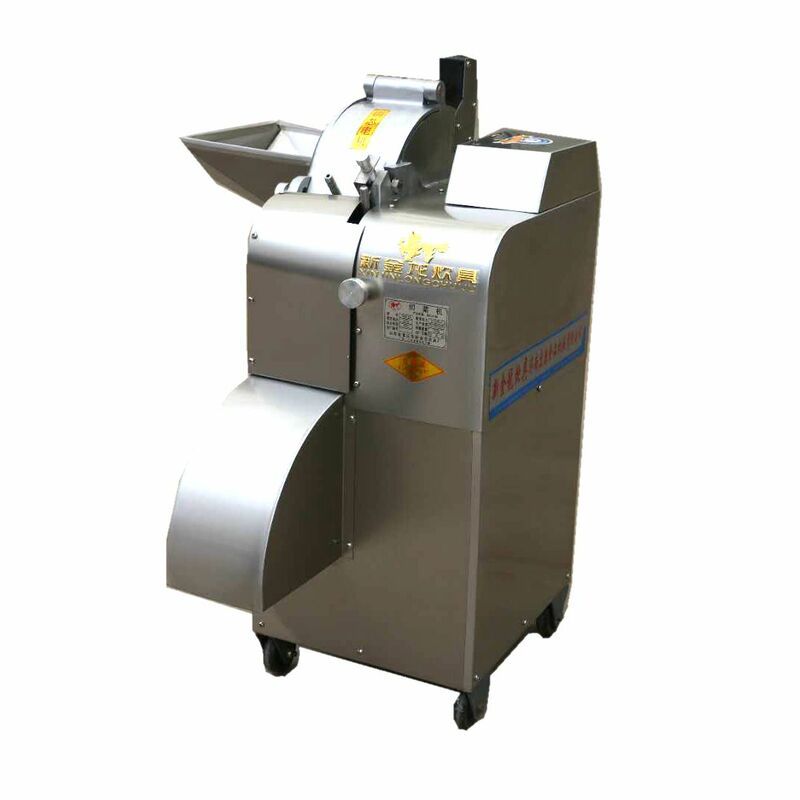 Dicing machine can also cut round potatoes, radishes and so on. 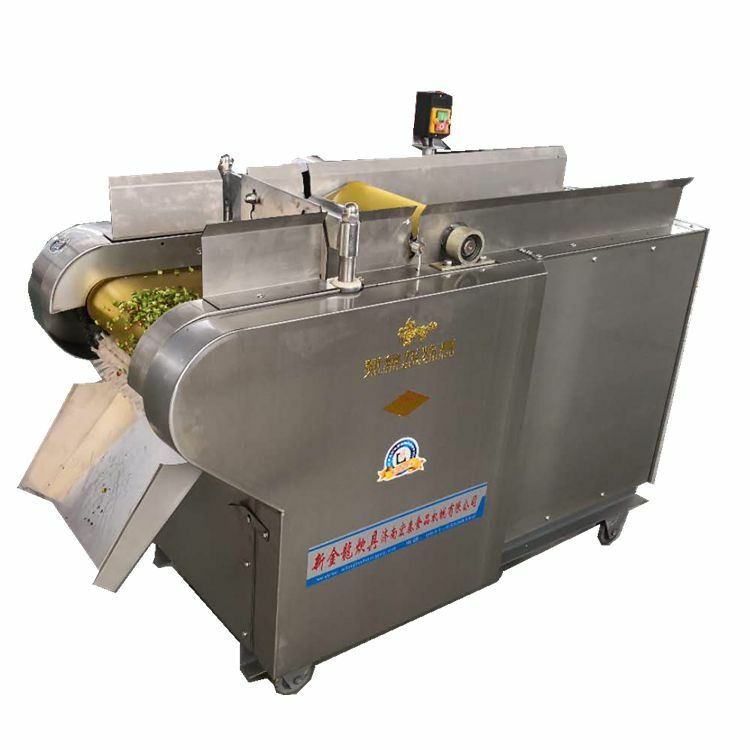 Vegetables such as roots, stems and leaves can be processed into slices, silk, diced, rhombus, curves, diced flowers and so on. 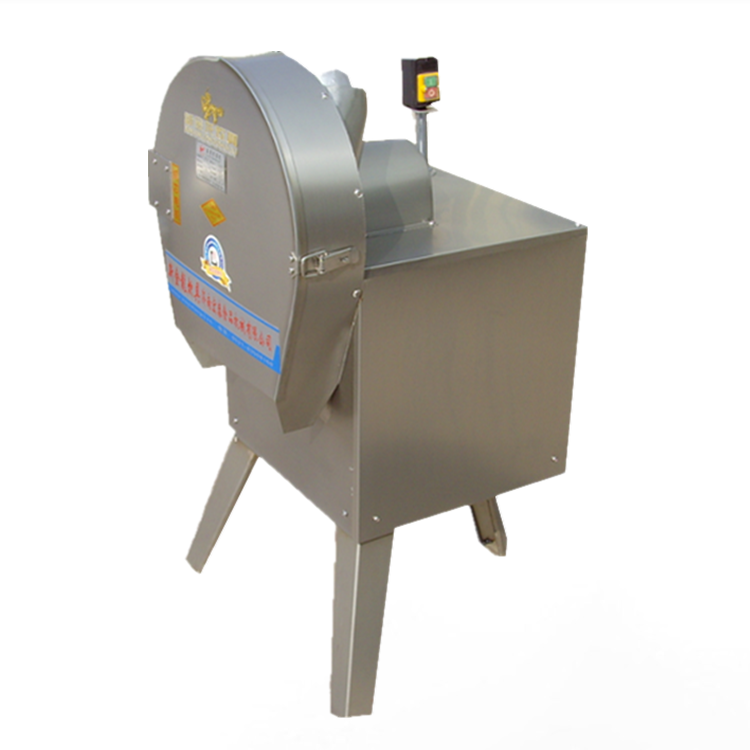 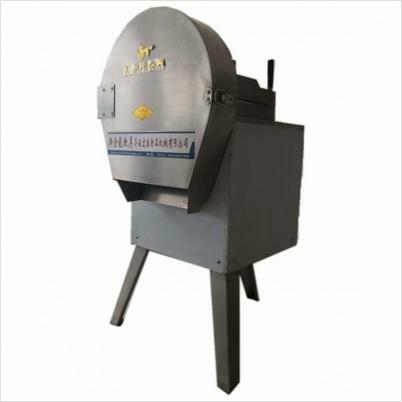 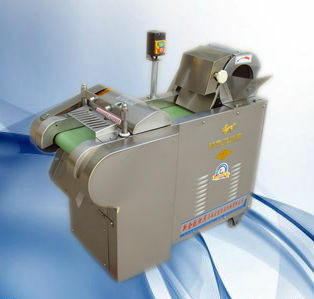 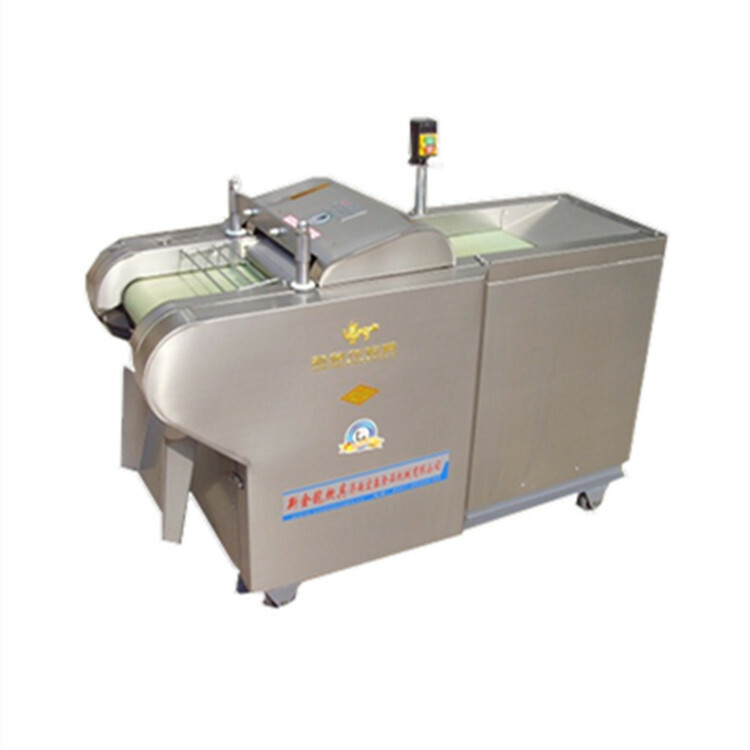 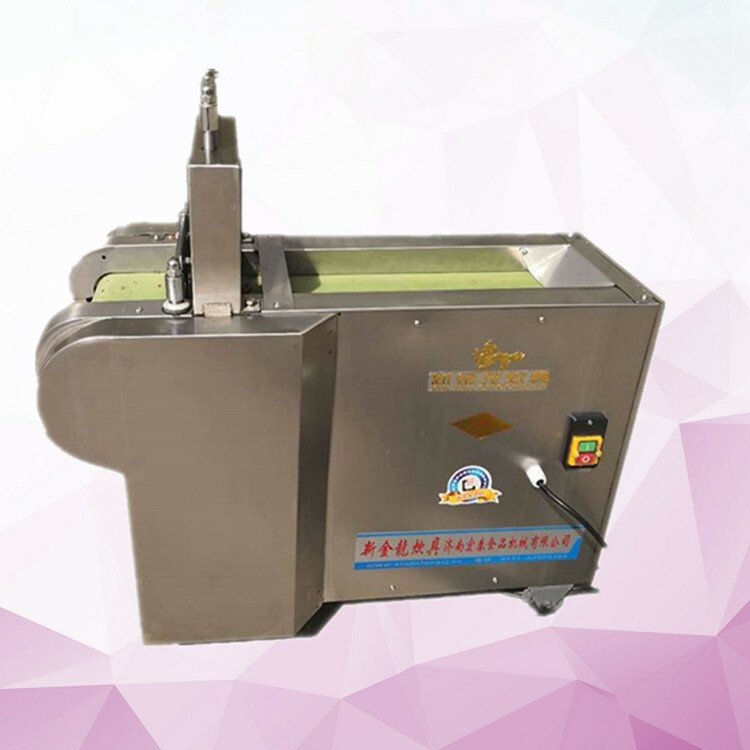 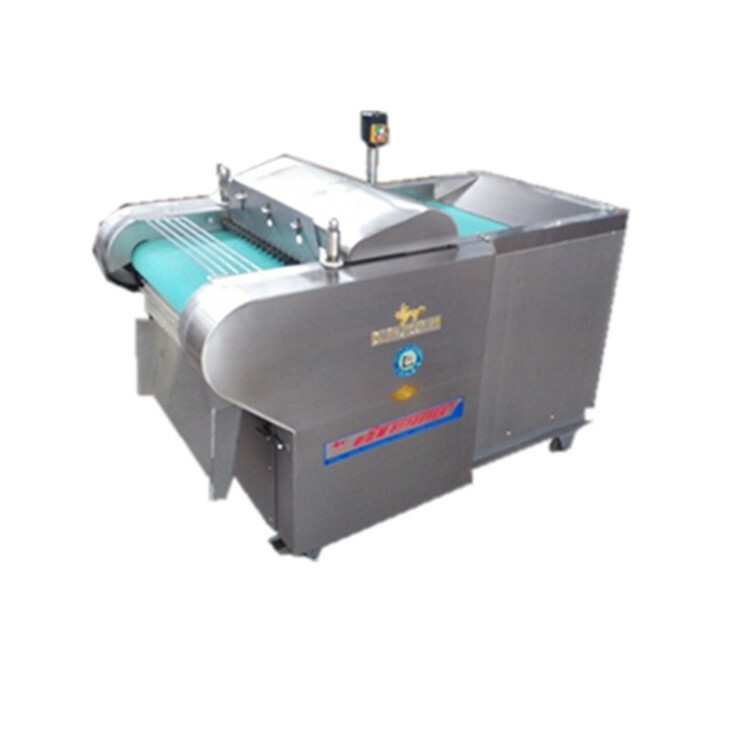 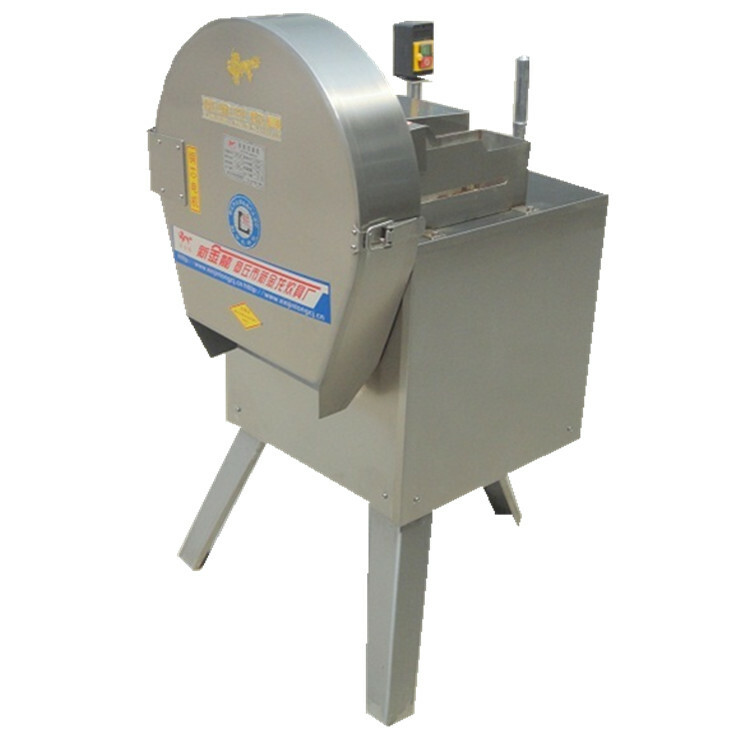 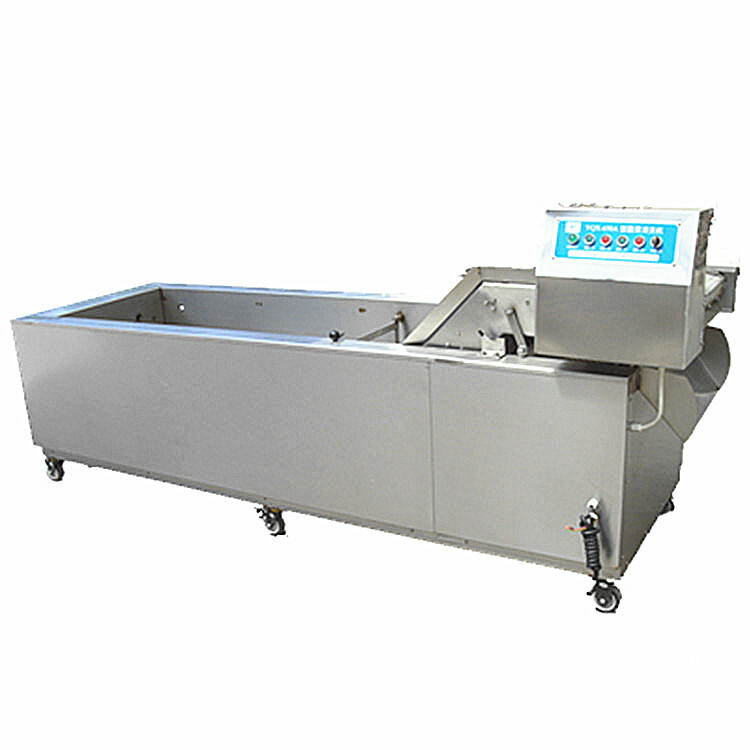 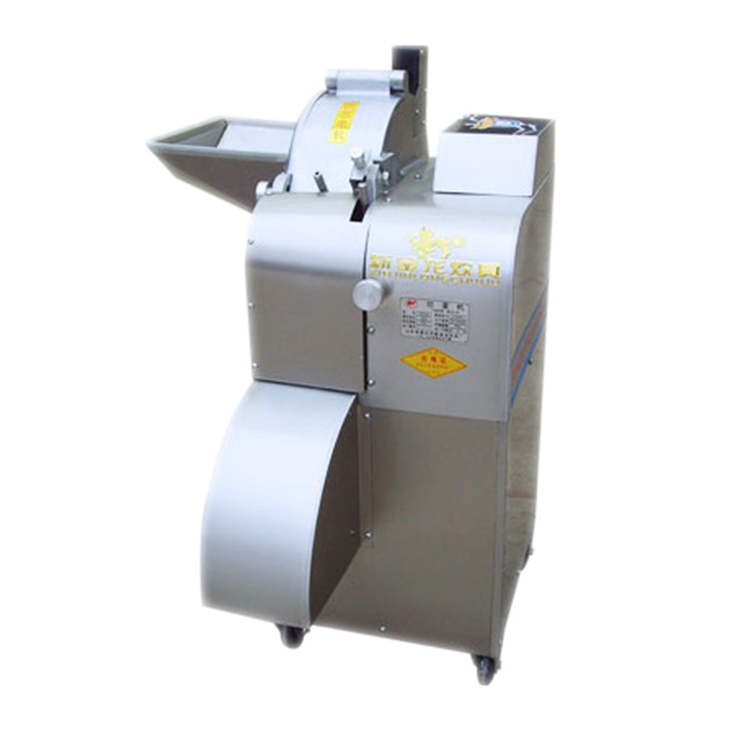 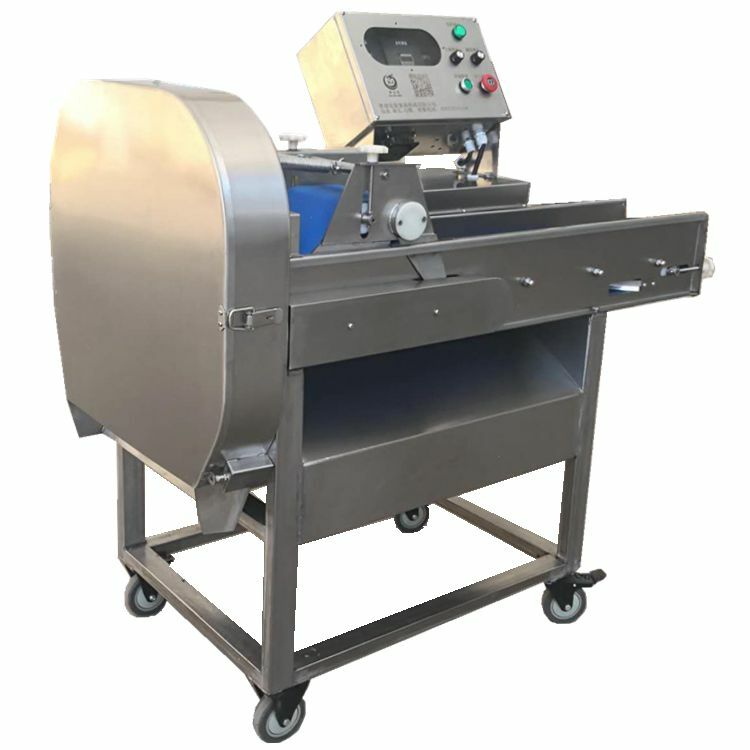 The slicing device is used for slicing hard vegetable (radish, potato, raw fruit, potato) with a thickness of 1-10 mm. 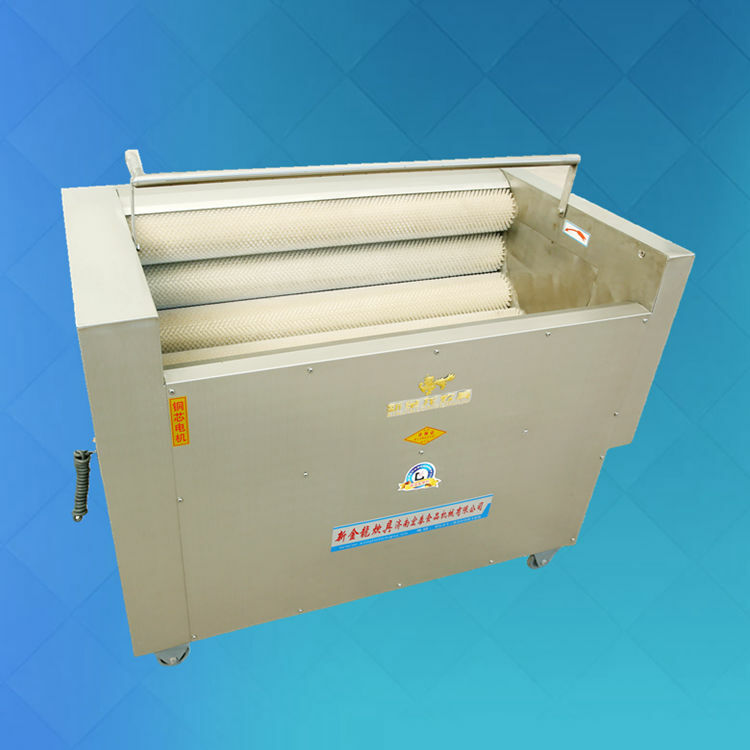 The reciprocating vertical knife cuts the cut vegetable or soft vegetable (leek, celery) into straight silk or segments, curved silk, cuboid (or shaped knife) conveyor belt with a moving interval of 1-20 mm. 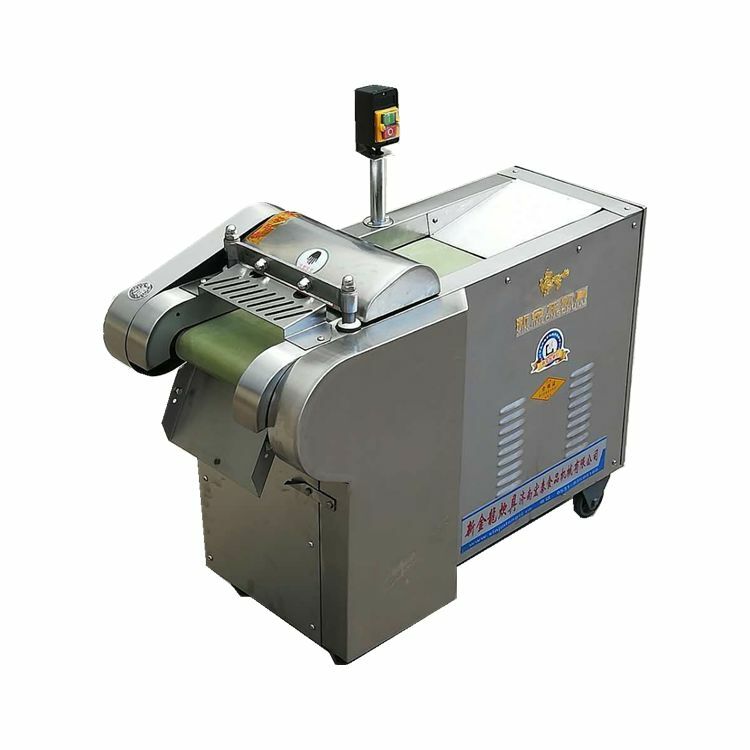 The adjustment amount is the width of the silk segment; it should be noted that when the diameter of the cut vegetables is thicker (greater than 30 mm), the effect of slicing is good, easy to slice, the slices or dices made in hours of diameter will be messy. 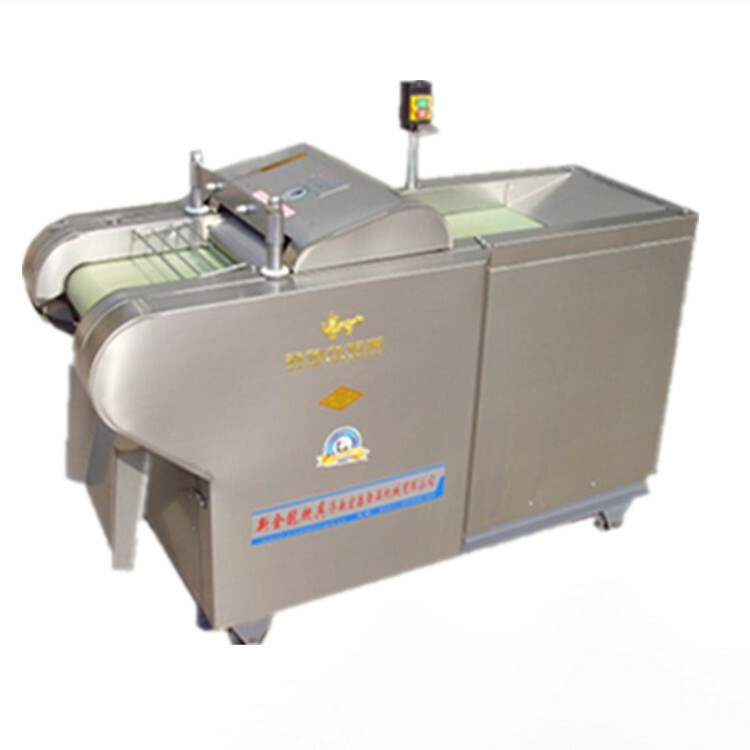 Cut vegetable processing surface is smooth, regular, without lack of arrangements, adhere to the effect of manual cutting. 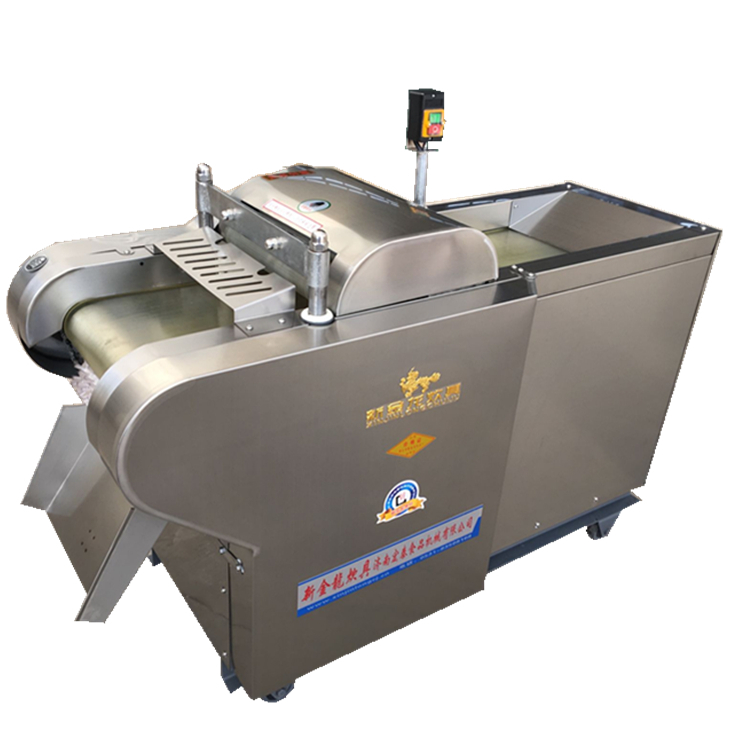 Chicken and chicken should be cut smoothly, because in contrast, chicken appears delicate, with less tendon, only along the fiber cut, fried meat can not be broken, neat and beautiful, imported tasty. 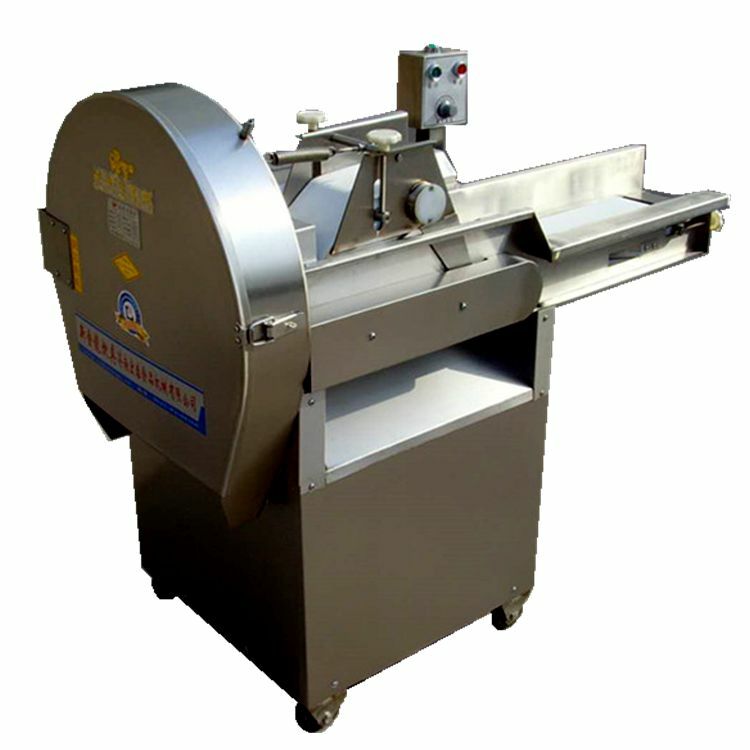 Fish and fish should be cut quickly. 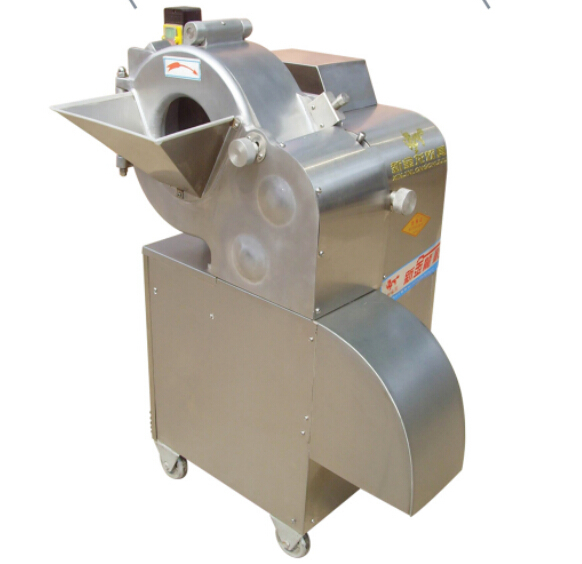 Because of its fine quality and short fiber, it is easy to break. 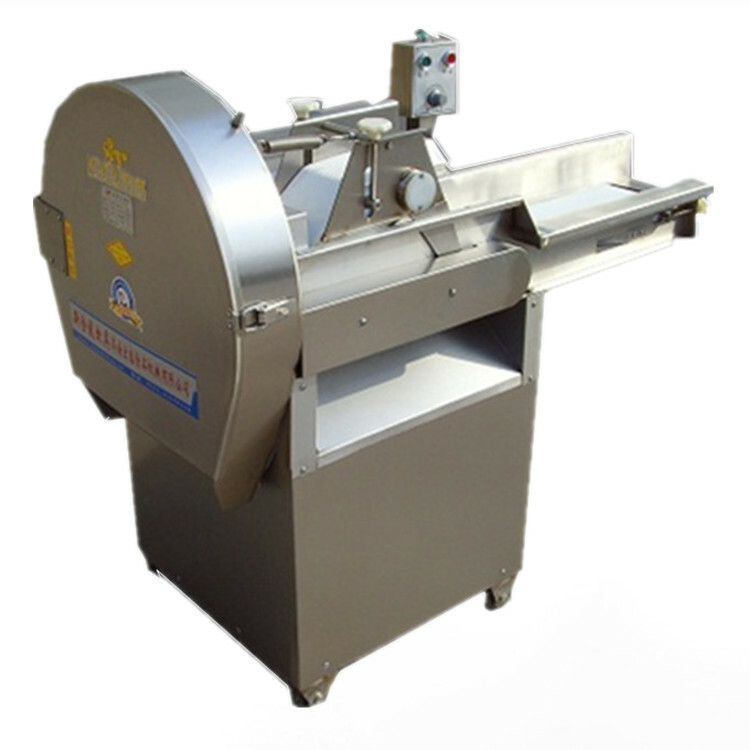 When cutting, the skin should be down and the knife edge should be oblique. 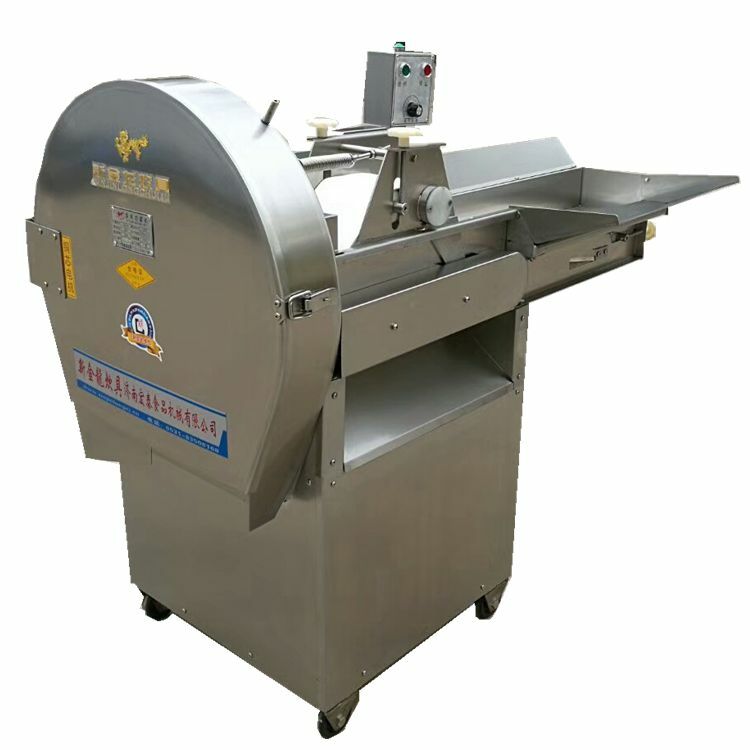 It is better to follow the fish spine and cut it neatly, so that the shape of the fried fish is intact. 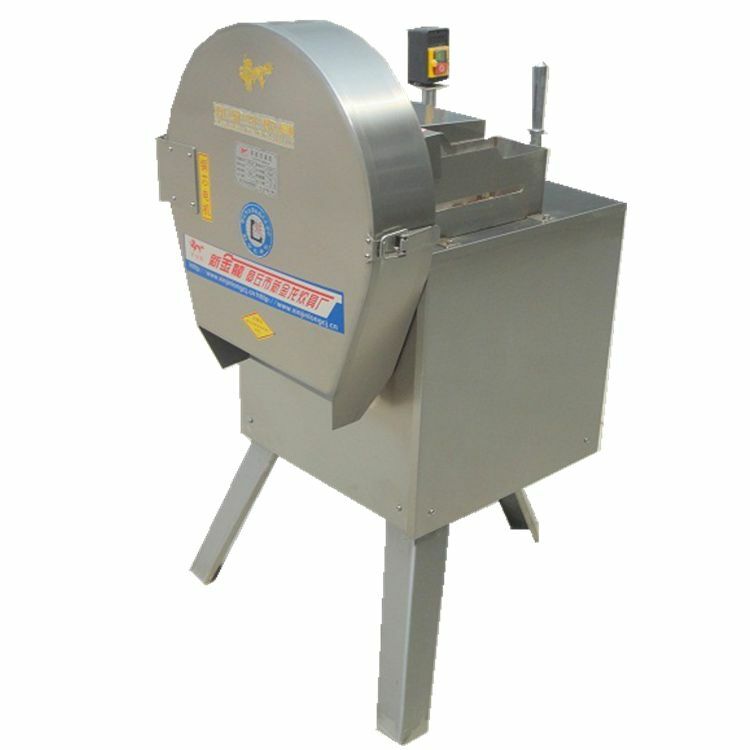 Cooked eggs should be cut into cooked salted eggs of chickens and ducks, and not broken. 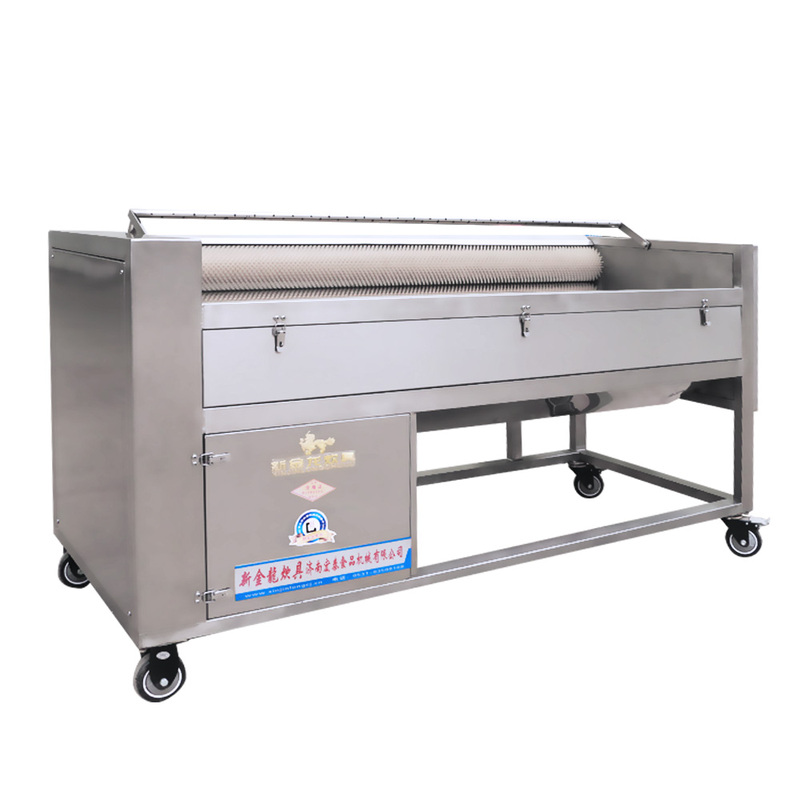 The knife can be hot in boiling water before cutting, so that the cut eggs are smooth and flat, and will not stick to the knife. 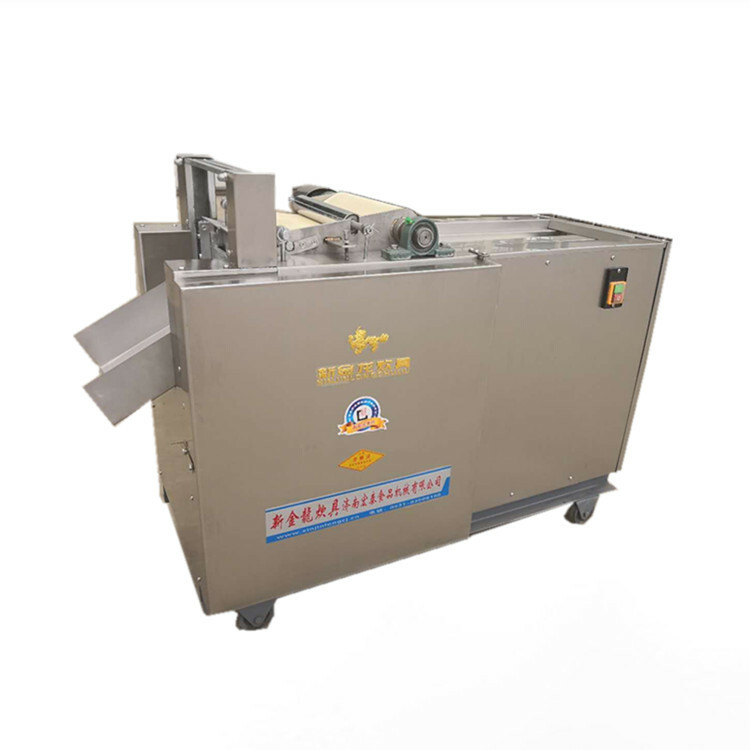 Cut birthday cake or cream cake with a blunt knife, and dip the knife in warm water before cutting, or wipe the knife with butter, so that the cake will not stick to the knife. 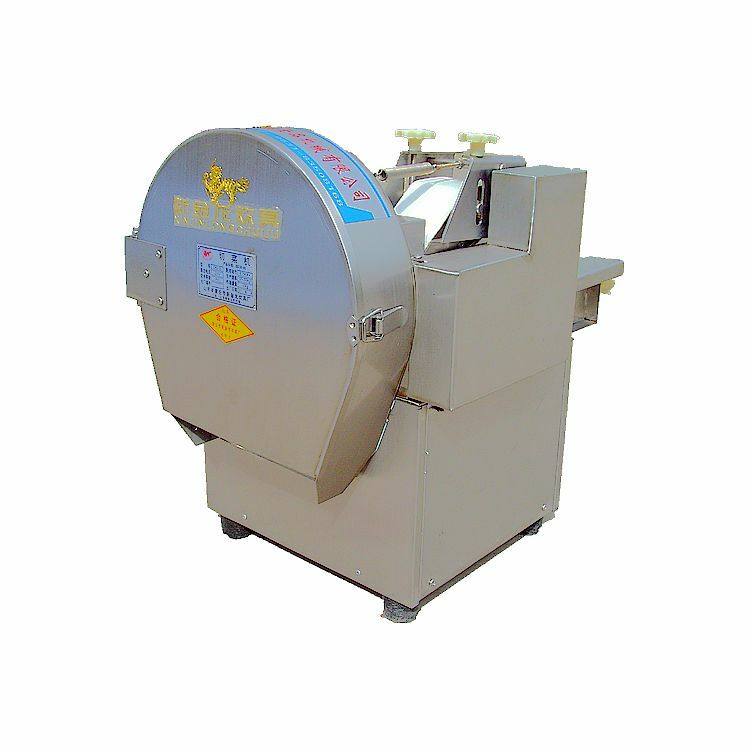 If you want to cut big bread well, you can cook the knife first and then cut it. 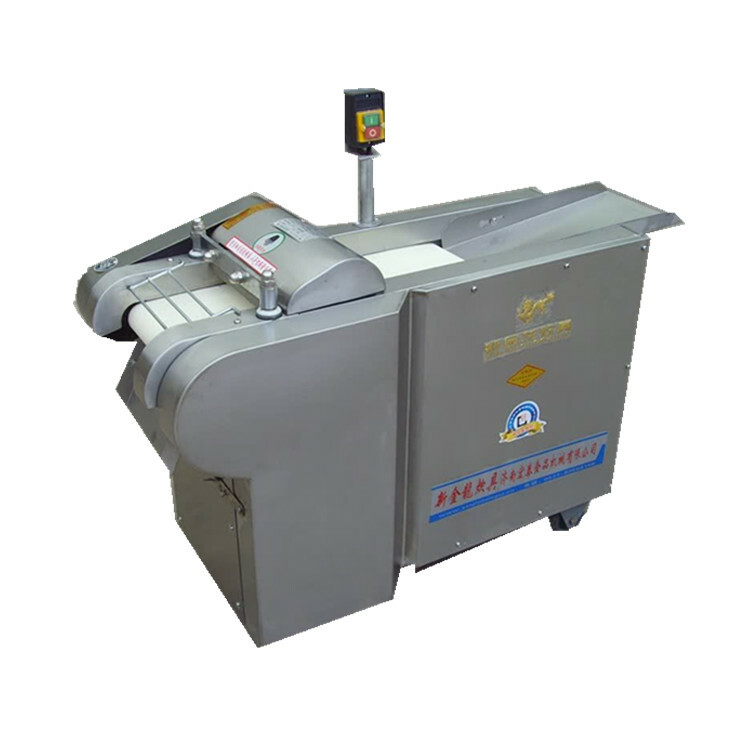 This way, bread will not be pressed and stick together, nor will it be cut loose and dregs, regardless of thickness can be cut very well. 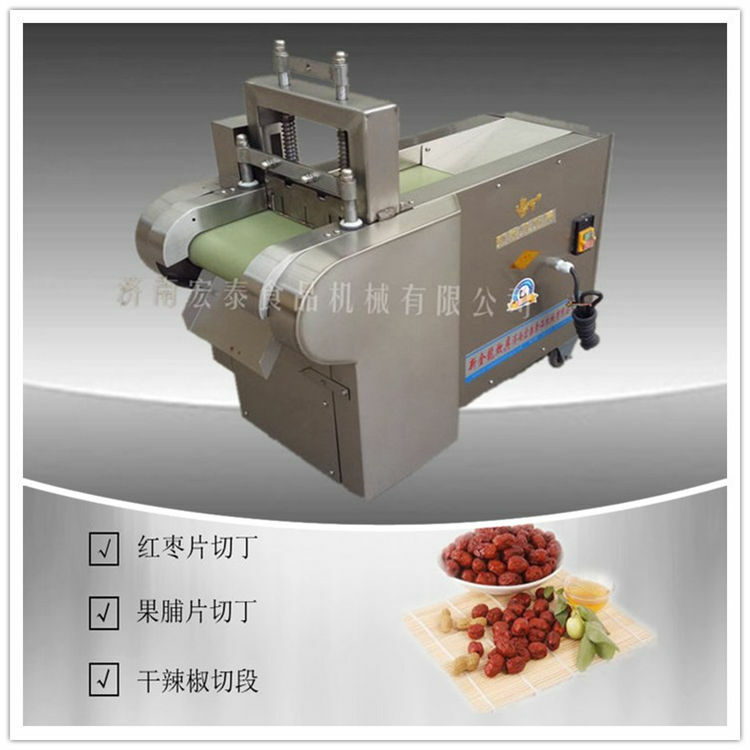 When sticky food is cut into sticky food, it is often not cut well on knives, and the food cut out is ugly. 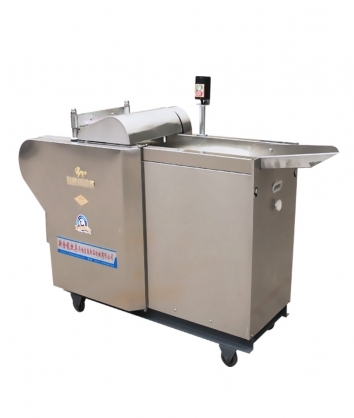 If you can cut a few radishes with a knife and then sticky food, you can cut them smoothly. 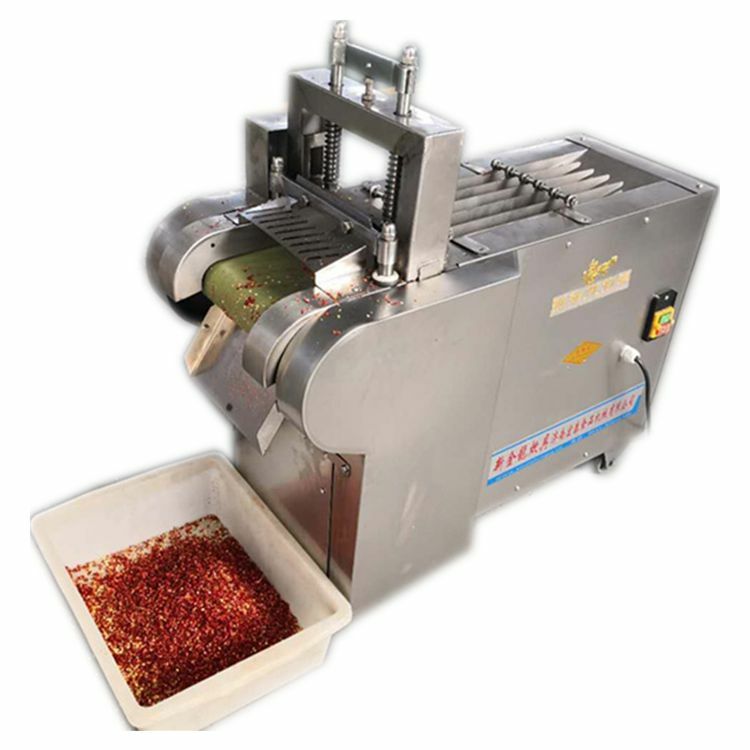 When tomatoes are cut, it is necessary to see the "grain" of the appearance, gently straighten the pedicle of the tomatoes, and cut them according to the grain, so that the seeds of the incision are not separated from the pulp, and the pulp is not lost. 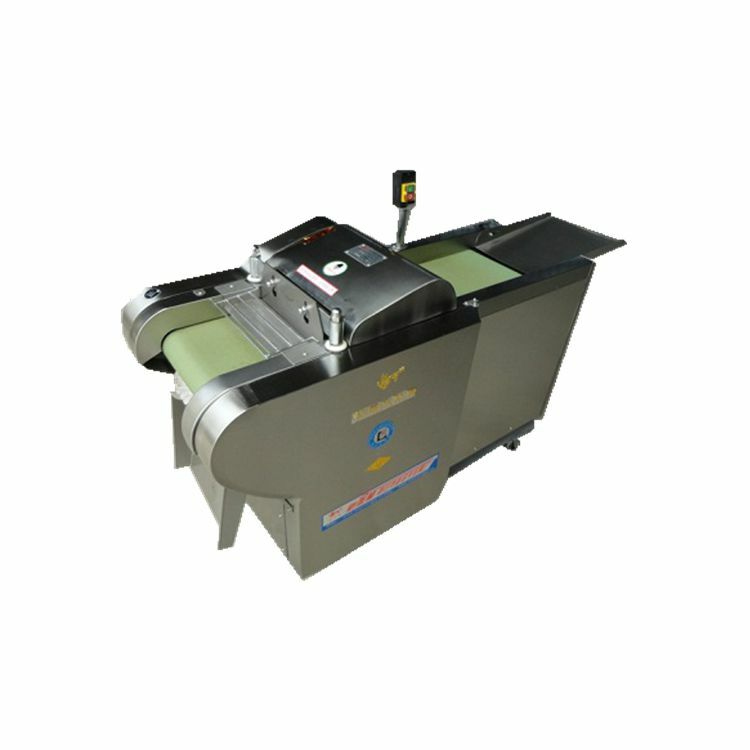 The above information is our cutting machine collation and publication hope to help you with our website is: http://www.chinafoodjx.com!